Today in 1883, Franz Kafka was born to Hermann Kafka and Julie Löwy, a middle-class couple in Prague. At the time, Prague, the capital of Bohemia, was part of the Austro-Hungarian empire. His parents were German-speaking Ashkenazi Jews who owned a clothing shop. He was the oldest of six children although his two brothers died in infancy. His three sisters lived to adulthood, eventually to be killed during the Holocaust. Franz lived a quiet life. He studied law at the University of Prague. He worked for most of his life at an insurance company. He had a strained relationship with an overbearing father, and yet he lived with his parents until he was 31. He was engaged twice but never married. His nights and free time was spent writing and with what his best friend Max Brod dubbed the Close Prague Circle - a small group of German-speaking Czech writers. Later biographers agree that Kafka suffered from clinical depression and anxiety. Possibly for this reason, or simply from the situation he found himself, he wrote stories that tackled the themes of alienation, angst, and lack of meaning. His genius was in writing them through the filter of surrealism and absurdity. They would be later hailed as capturing the alienation and anxiety of 20th century man. Kafka was not a prolific writer. In his life Kafka published only a few stories and essays, and only one of them, Metamorphosis, attracted attention. He died of tuberculosis in 1924, and in his instructions to his friend Max Brod, begged him to destroy all his manuscripts. Max Brod decided that was the depression talking and instead prepared them for publication. His posthumously published works include all three of his novels: The Trial, The Castle, and Amerika. 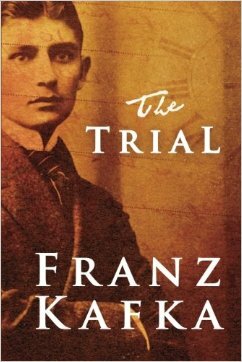 After 1945, Kafka's work began to attract attention and today his name describes all that is, well, Kafkaesque. His stories are modern fables, or as some have described it, open parables. Personally, I find Kafka's work to be a poignant non-believer's Pilgrim's Non-progress. He seems to so feel the desolation that lack of meaning brings, and yet has the gallows humor to deal with it. Perhaps if he had lived he would have found what it is that his soul thirsted for.